Our friends at YoYo Store Rewind are celebrating their 4th Anniversary; congratulations to Hiro, Masa, Jun, and the rest of the Rewind staff! Check out the awesome deals they’re dropping below. Everyone who places an order during the event period will receive a free REWIND badge (while supplies last). We’ve created brand new designs for this giveaway period only, to be given out at random. See if you can collect them all! Our first ever REWIND Tote Bags have arrived! They come in Black, Olive, Navy, and Brown, and the print design on all of them is in Cream. 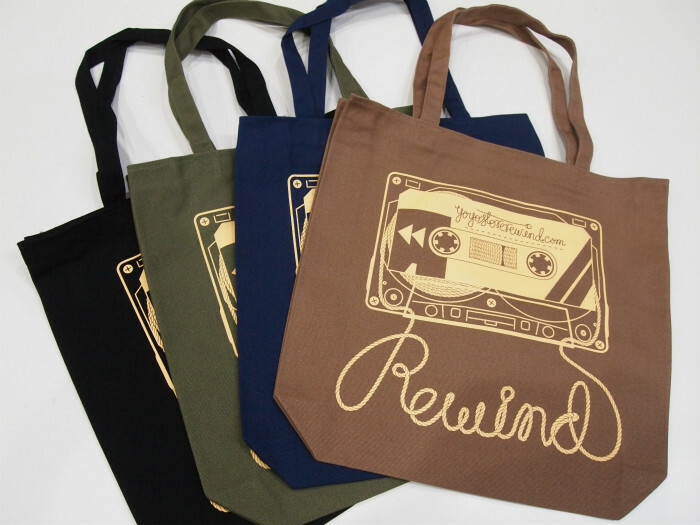 Customers who place an order of $200 USD or more during the event period will receive a free REWIND Tote Bag of a random color (while supplies last). 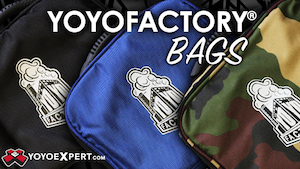 Throughout our four years of business we’ve been fortunate to deal with many yo-yo makers all over the globe and have always been very proud to bring you the world’s top class yo-yos. However, since we stock models from so many different companies, the amount can be a little overwhelming and sometimes things tend to get buried in our stockroom. As a result of some spring cleaning, we’ve decided to establish a Bargain Rack category in our store. Taking a look at the page you might find yourself thinking, “I hadn’t heard of this yo-yo but it sounds pretty cool!” or “That’s right, this model existed!” or “I always wanted this one and now it’s such a great deal!” We invite you to check out our new Bargain Rack, and who knows, you might find something really great! Finally, the main event! Everyone who places an order during the event period (February 24th to March 10th, 2014) will be entered into a drawing to win a coupon for the same amount spent on their order (up to the amount of $1,000 USD). In other words, we will match what you spend and return it to you in the form of a coupon to REWIND! What a deal! One winner will be drawn for every 50 orders placed. – The drawing will be done by order number, and the present coupon amount will be the same as the amount spent on that specific order. 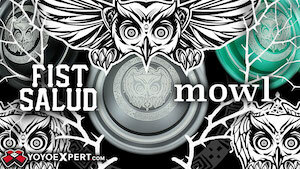 – We will match up to and no more than $1,000 USD for the winning coupon(s). 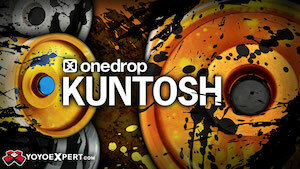 – We will contact the drawing winner(s) by e-mail. We hope you enjoy our 4th Anniversary Event! 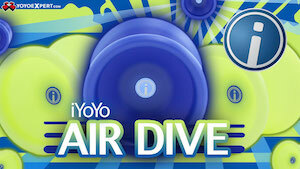 For our 5th year REWIND has all kinds of excitement planned to aid you in your fun yo-yo life. There’s lots to look forward to so we hope you’ll stick around! Thanks again!